Usually the episodes start out with a recap or 15-minute conversation. This week started out with 'faint-gate.' Kelsey is laying on the floor crying to an Australian woman, then laughing and finally wanting to talk to Chris. She admits that she thinks this will get a rose. 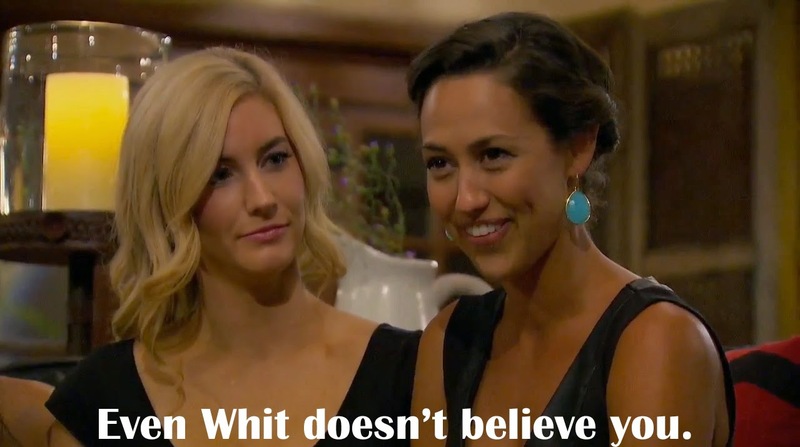 Whitney says the situation, 'feels weird.' That explanation is incredibly accurate and politically correct. 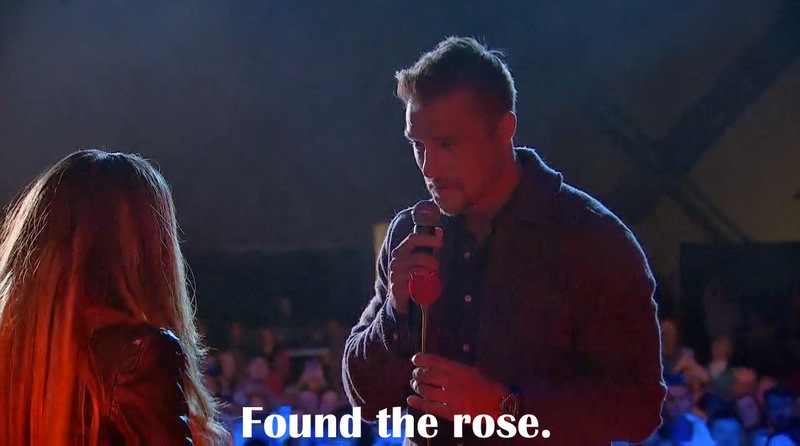 Mackenzie and Samantha, who has not said more than three words do not get a rose. However, I consider Samantha a winner, she obviously did not say anything camera worthy. She gets to go back to her life unscathed. 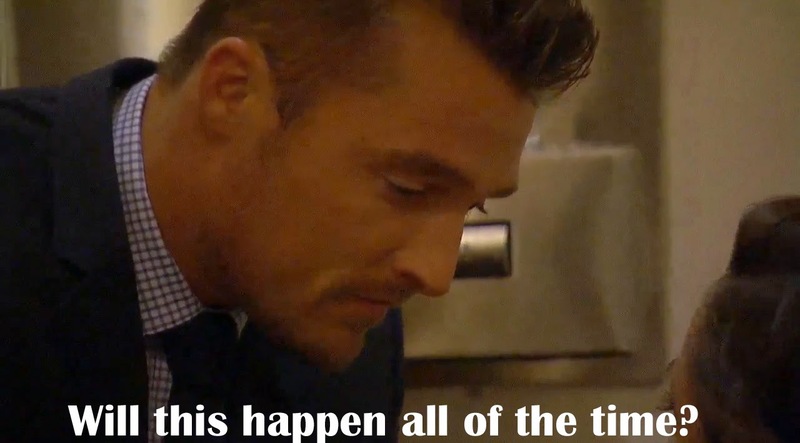 This is a rarity in the Bachelor world, which is up there with the unicorns Chris talks about. Becca is normal, fashionable and plays hard-to-get, which is genius. Chris likes the chase and they seem to have a genuine connection. 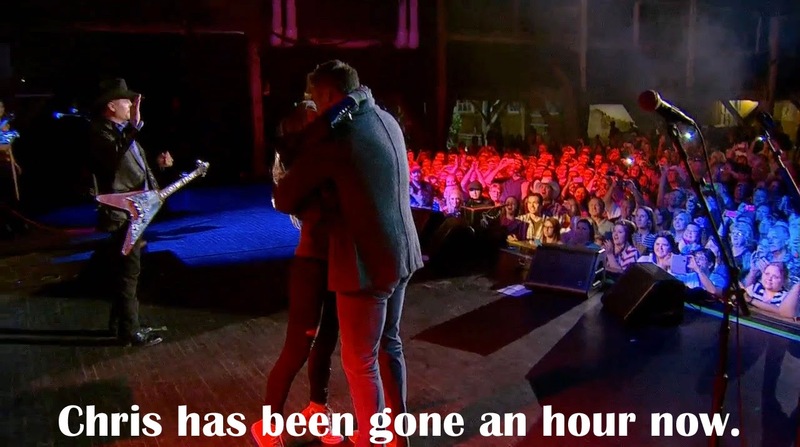 Nothing dramatic happens on this date, however, Chris gets his kiss from Becca. Now he has officially kissed everyone on the show. 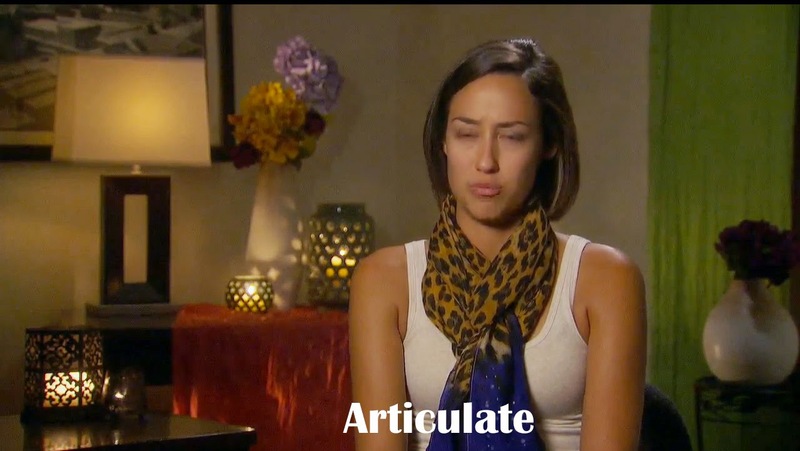 The women confront Kelsey about the 'faint-gate' episode and she attributes this to three qualities. Then later that night we learn who is going on the dreaded and highly anticipated two-on-one date. Big & Ranch arrive and start a South Dakota Deadwood Hoedown. Chris and the women have to write songs to express their feelings. Carly is on this date, who has a huge advantage. Singing is what she does. Britt impressed Chris, Megan proved everyone in Nashville can sing and Carly was awesome. I was proud of Jade who had to go after Carly. Chris goes through his one-on-one moments. As a group, the women are wondering why there is no rose. Then the date gets awkward. Chris runs away with Britt, which makes the women feel like it is the Chris and Britt show. I get that it was fun and exciting to run away, but since this was obviously planned I feel Chris should have sent them back to the hotel. It gave everyone an uneasy feeling, in addition, he chose a person who did not even like the genre of music. There have been contestants who are overdramatic, but even the calmest of girls were upset over the situation. Chris left Britt and fed her to the wolves. The last two-on-one I remember is Ashley S. and Ashley H., which was my favorite because Brad was totally the third wheel on the date. 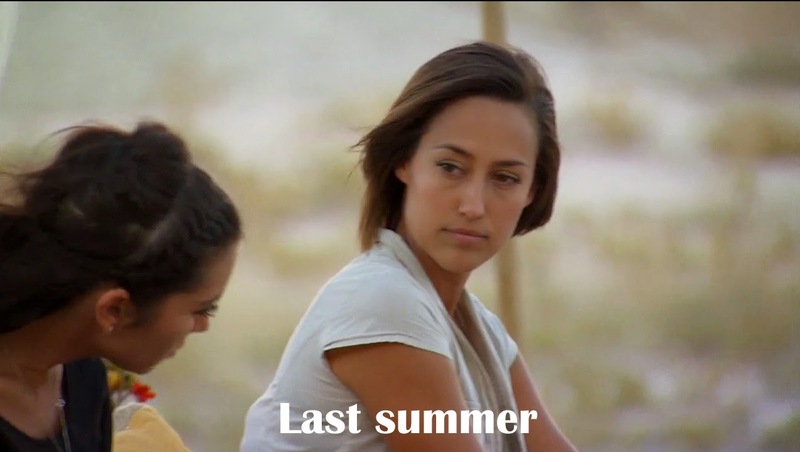 The Kelsey and Ashley I. showdown is interesting because of how polar opposites they both are. A helicopter is there and I feel the only thing that could make it more awkward is if Brian Williams was on board. Since last week, I came to the conclusion that both would go home, but it was an interesting journey getting there. Ashley I. was very calm for the majority of the date. 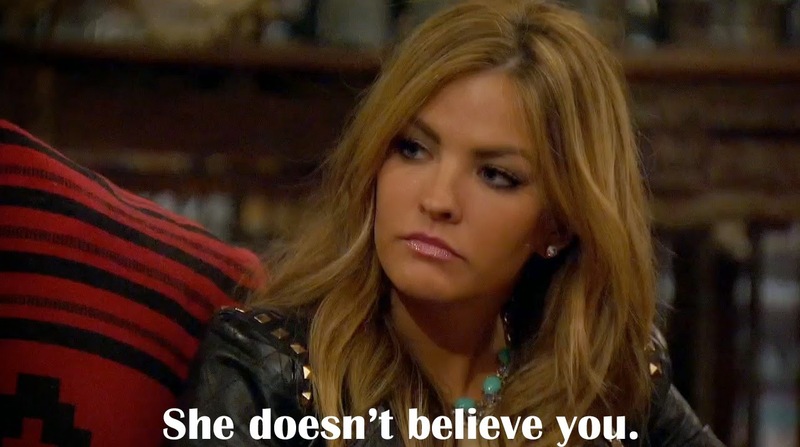 Chris asked her about the other girls, which prompted Ashley to give her opinion on Kelsey. It really didn't seem that bad, usually people try to change the lead's mind. Then Chris proceeded to drive the bus up and throw Ashley under. 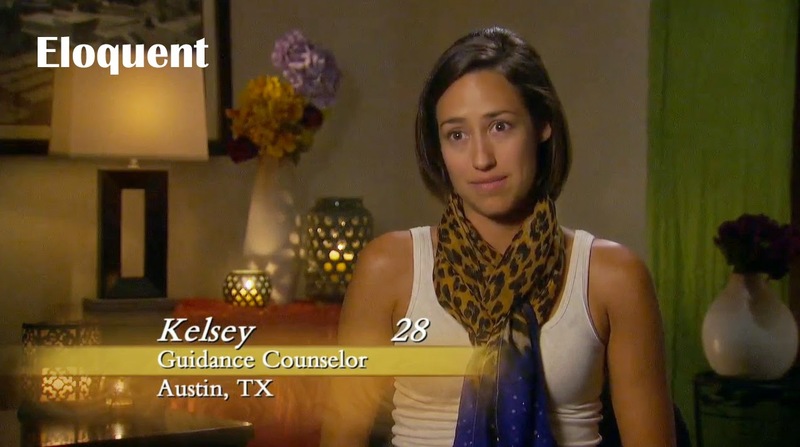 Kelsey explains that she has been a wife before, which is something we know. 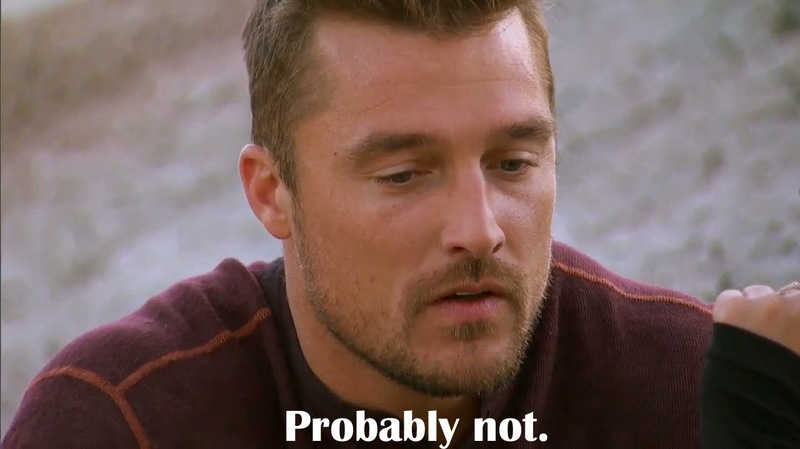 Chris wants someone who can handle group situations and tells Kelsey that Ashley said she did not mesh well and is fake. 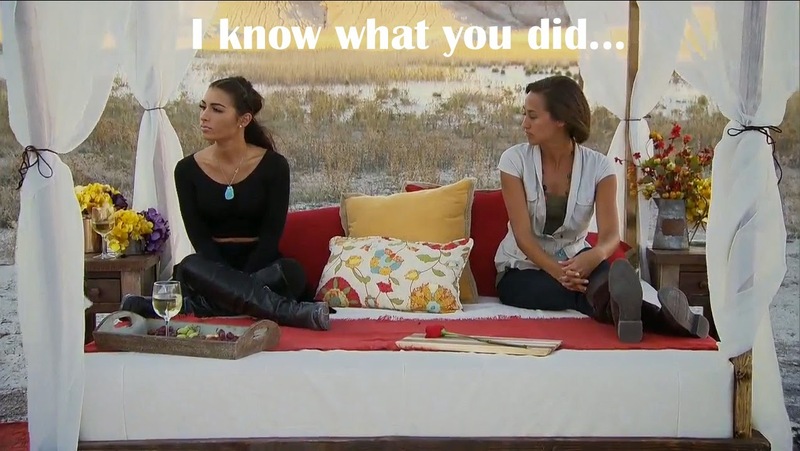 Kelsey goes back and gives Ashley the evil eye for the longest time. She could win any staring contest with that kind of skill. 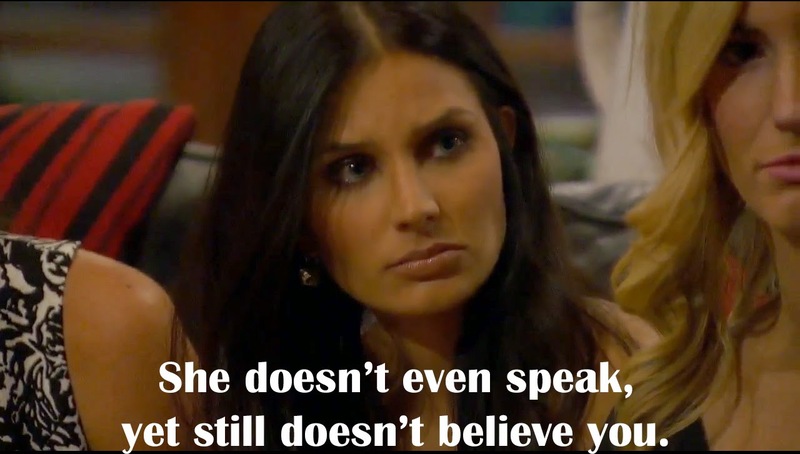 Ashley is mad at Chris for telling Kelsey. 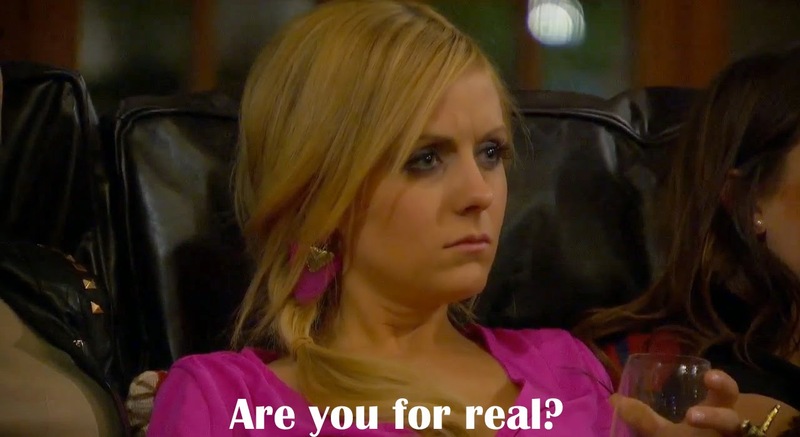 Chris then proceeds to send Ashley home and she asks 'do you think Britt wants that lifestyle?' That is a great point. 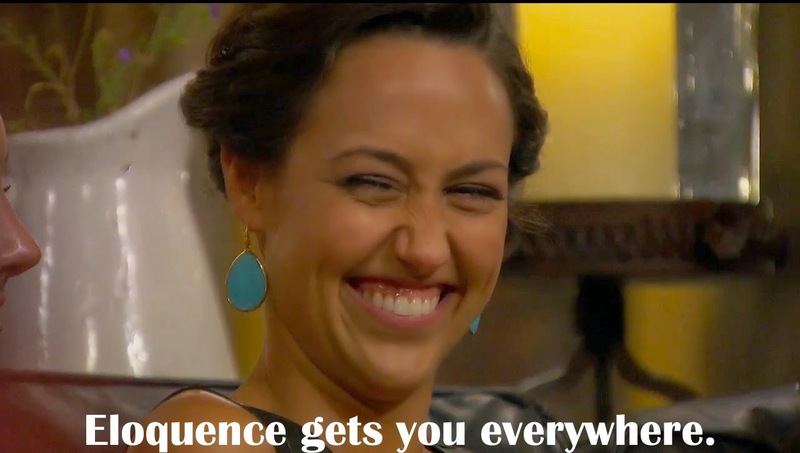 Kelsey sees that Ashley is going home and declares herself a winner. To her surprise, Chris sends her home. The women were upset that Ashley went home, may she heal in Sephora. 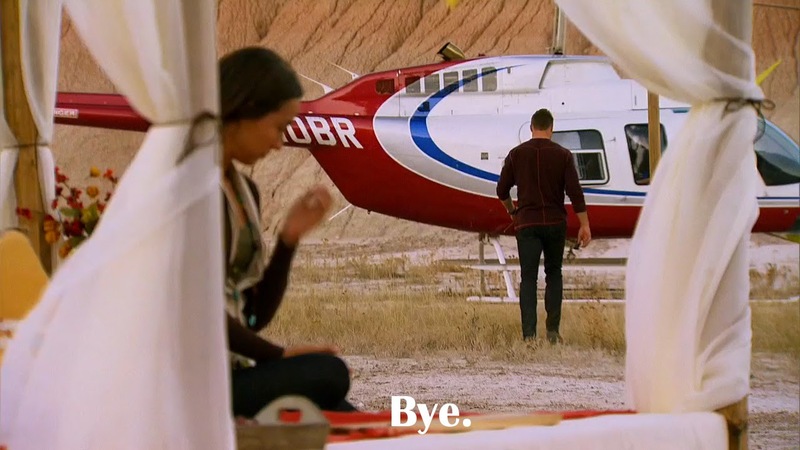 In a dramatic turn of events, that the majority of viewers saw coming Chris goes and sends Kelsey home. He gets in the helicopter, leaves them and looks like he is auditioning for an Excedrin commercial. In the history of the show, I don't think there has ever been a departure so celebrated. What did you all think of the episode? 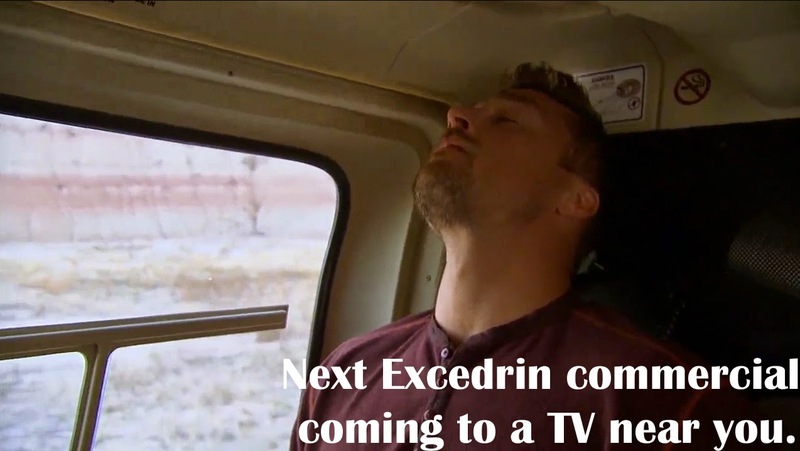 I am not really sure what all is going on next week on the episodes, but I can't wait. 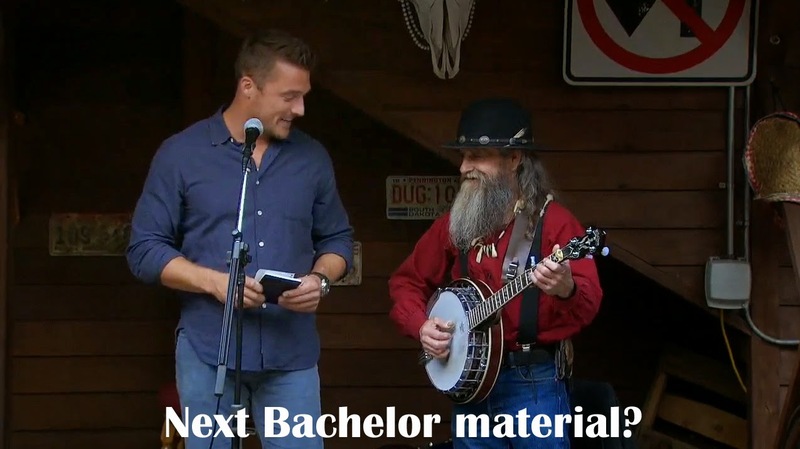 Let's tweet, you can follow me @BachelorExpert.